On Monday, August 21, joint investigative efforts by Kyiv regional prosecutor's office and the Security Service of Ukraine (SBU) led to locating a cache filled with weapons and ammunition outside a village in the Kyiv region’s Baryshev district on the territory of non-residential premises. "The Boryspil prosecutor's office started criminal proceedings on the grounds of a criminal offense under Article 263 (illegal handling of weapons, ammunition or explosives) of the Criminal Code of Ukraine," the press service of the regional prosecutor’s office said. At present, pre-trial investigation is ongoing and is under the procedural control of local prosecutors. As UNIAN reported earlier citing TSN news service, the threat of terrorist attacks in big cities across Ukraine is growing on the eve of Independence Day, as evidenced by the numerous instances of disclosure of terrorists' plots by Ukraine’s security services. Counterintelligence operatives of the Security Service of Ukraine (SBU) foiled a terrorist attack in Mariupol and saved dozens of lives. The terrorist attack was plotted in Moscow, while its details were developed in Donetsk. 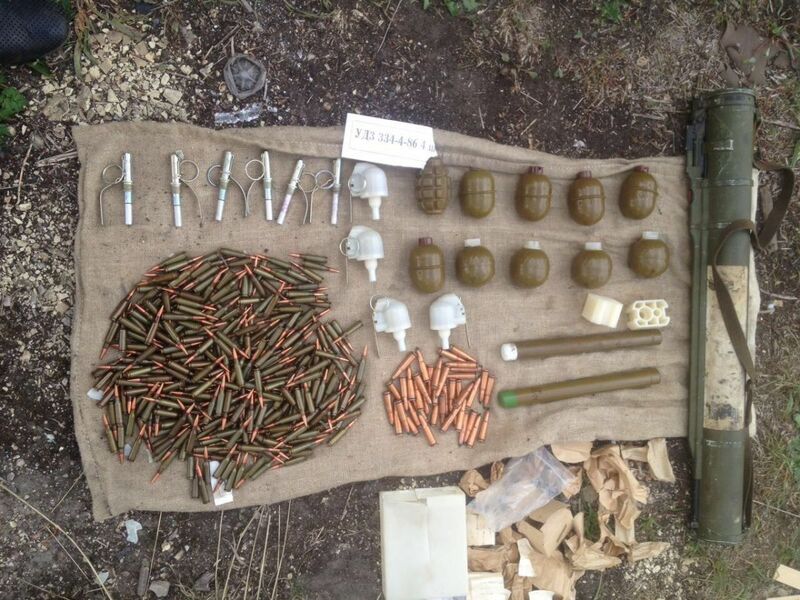 Besides, a massive cache of ammo and explosives was discovered by the SBU almost in the heart of the capital, the acclaimed R&R spot on the left bank of the Dnipro River, Hydropark. Hundreds of cartridges, ammunition of various caliber, as well as a dozen of TNT explosives disguised as laundry soap, were concealed in the park.